El Calafate is one of the most important tourist cities of Patagonia. Los Glaciares National Park is on the border with Chile, to the southwest of the province of Santa Cruz. It covers about 2600 square kilometers of ice. Among all that magnitude, there is Perito Moreno, of course, who is the most famous but not the biggest (the largest is the Upsala, with 10 km wide and 50 long). El Calafate is one of the most important cities in Patagonia. It is installed year after year as an option for those who wish to spend a different holiday. Today we propose some unmissable tours of the vicinity. The Perito Moreno Glacier is in front of the Magallanes peninsula, about 80 kilometers from the city, along route 11. There are several proposals. You can take a boat ride in front of him (it costs about $ 2300 per person), you can also see it from the catwalks. The entrance to the National Park is free. To visit this place is to find one of the most imposing landscapes on earth and, in addition, to see something that speaks, in part, of transience. We are talking about the eternal ice, but are they really like that? Well … although this terrain is broad and powerful, in times of global warming like the ones we are going through, this type of surface is at risk. The rupture of the ice dam formed by the glacier is an attraction of international level and there is no data on when the next “function” will be. The last time was in 2008. Year after year, travelers from around the world wrap up to explore this part of Argentina. There is an organized camp, free camp and picnic space for the more adventurous. In the north area there are spaces for free camping. For those who want something more comfortable, the options are distributed between El Calafate (50 km away) and El Chaltén. In addition, the stays of the region are open to tourism and are installed as an option to get to know other places. To the northwest of Lago Argentino is the estancia Cristina, more than one hundred years old, where you can observe fossils. It is a beautiful place that allows you to have contact with all that was before we arrived. You can also do bird watching, contemplate the area. People from all over the world come to see what birds are stirring here. “An archaeological beauty”. This is how they call these caves that are 8 km from the City of Calafate. Inside you will find cave paintings made with multicolored pigments of abstract figures and hands. In the heart of El Calafate is Glaciarium, a museum dedicated exclusively to the ice and glaciers of Patagonia Argentina. Overlooking the great Lake Argentino, this center is a place to discover if you visit Los Glaciares National Park. Its structure occupies almost 2,500 square meters and is divided into three sectors connected by corridors where photographs are shown on the formation of ice, stories of explorers and scientists and in the background we are accompanied by the sound of melting water throughout the visit. Each corner of the museum allows to live a unique experience. The exhibitions use artistic techniques used in the most modern interpretation centers of the world, such as touch screens, documentaries and audiovisual and light presentations. In the third pavilion there is a movie theater where films are shown in 3D format on the area. 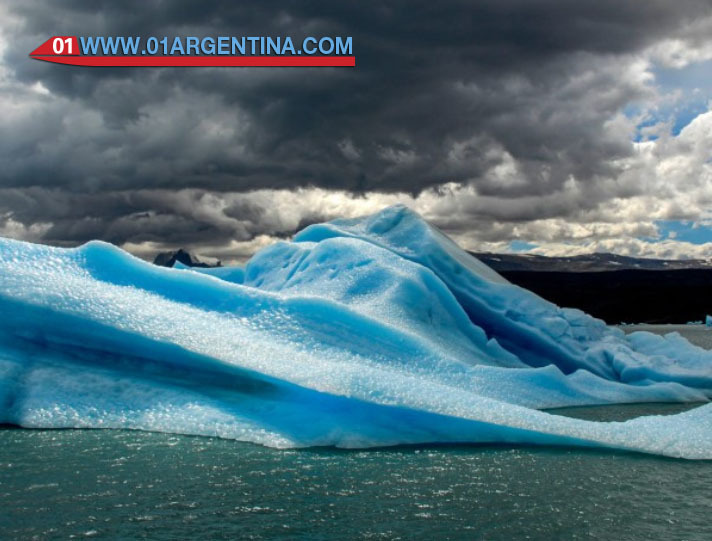 In the permanent exhibition that takes place all year round, the Perito Francisco Moreno is honored and the behavior and rupture of the popular Perito Moreno Glacier is explained in detail. The museum is open every day of the year and is a mandatory destination if you visit El Calafate. The tours last almost two hours. Among the attractions of the center, the Glaciobar stands out. Located in the basement, this bar is designed entirely on ice. Everything is made of ice from the walls, chairs and glasses. It is important to take shelter, because the ambient temperature is -10 ° C.